Efforts so far made by the Abia State Government and the state police command to rein the murderous activities of herdsmen in the state appear to be futile as the marauders have struck again leaving scores of people wounded with six people battling for their lives in hospital. It emerged that the dreaded Fulani herdsmen attacked Ndi Okereke Abam in Ovukwu autonomous community, Arochukwu Local Government Area of the state, using guns, daggers and other dangerous weapons. President General of the town union, Chief Chukwuma Egbuta Okubi, made this known while narrating the incident to journalists yesterday, saying that the six people critically wounded were presently hovering between life and death at the hospital where they were rushed for medical care. The state Police Public Relations Officer (PPRO), Nta Ogbonnaya Nta, confirmed the incident but was not forthcoming on the casualty figures, saying that the state police commissioner was already handling the situation. However, the town union president explained that the attack occurred at the weekend when the farmers complained that the herdsmen had turned their farms into grazing fields destroying crops led their cattle into the farms destroying crops, including already harvested rice heaped on the farms. He said the herdsmen had previously fallen out with the host community over destruction of crops but following a peace accord the quit notice issued to them was rescinded with the herdsmen promising to avoid grazing on farms and destroying crops. 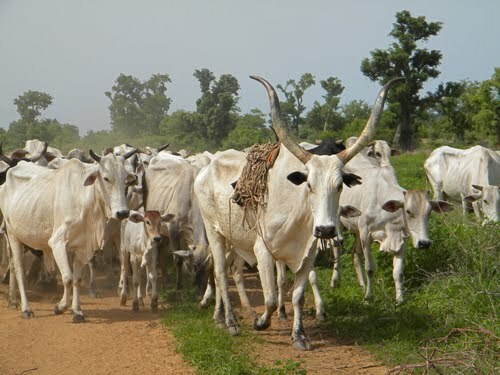 The town union leader said that the peace accord was working and the herdsmen were staying peacefully with their hosts until last Friday when they went into a rice farm to graze their cattle. Okubi said the members of the family of the attacked farmer had escaped and narrated the incident to the community but the youths that organised to go and force out the herdsmen and their cattle from the invaded rice farm were surprised as the herdsmen attacked them with guns and machetes. Okubi said the situation could have deteriorated but for the timely intervention of the state chairman of the farmers/herdsmen committee and the state Commissioner of Police, Mr. Leye Oyebade and a team of policemen from Arochukwu led by the Divisional Police Officer.